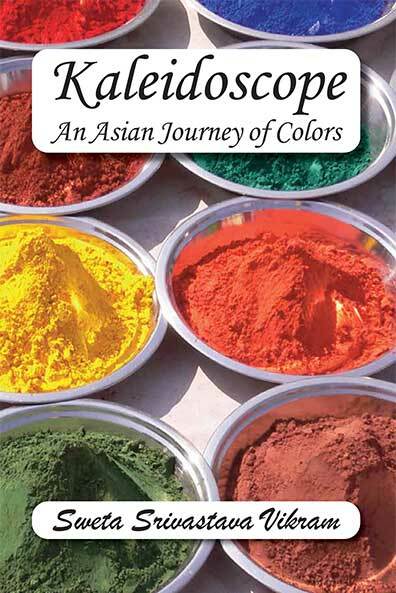 Kaleidoscope: An Asian Journey of Colors (nominated for the Pushcart Prize) delves into the implication and philosophy of colors from a Hindu woman’s point of view, from birth until death. The color she adorns herself with almost depicts the story of her life. Expressed through different poetic and verbal forms, each color in the book has its own tone and is specific to different age groups. “This slim chapbook is a quick bite. Poems appear and disappear in the blink of an eye, but linger in consciousness longer than you might think they would. The use of colors is fascinating to the desi mind; we, as one poem remarks, “exist in a hue of experiences.” – Vidya Pradhan, Editor, India Currents. “In this innovative series, Sweta Srivastava Vikram re-appropriates color. Cultures and mythologies collide along the way, and the result is a chapbook that feels like a quest. In the end, the colors are a map to identity. The child’s pink tonsils or the bride’s red sari are not symbols, but rather mile markers. Like Vikram’s poems, they lead toward understanding.” – Erica Wright, Senior Poetry Editor, Guernica. Sign up to receive free tips and tricks to transform your life!